But pinging google.com from the Pi times out. Where am I going wrong? On macOS, go to System Preferences > Sharing > Internet Sharing and enable sharing internet from wifi to thunderbolt ethernet. This will begin a DHCP server to assign your PI and IP address. 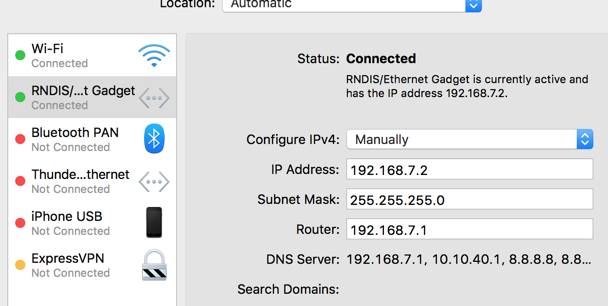 It will also allow your PI to access the internet through your mac once you ssh into it. Not the answer you're looking for? Browse other questions tagged raspbian pi-zero osx or ask your own question. Pi Zero OTG with backup power?